With the summer steadily approaching I’m sure I’m not the only Mum that is ready to shed the last few pounds and get back into my pre-baby Summer clothes. 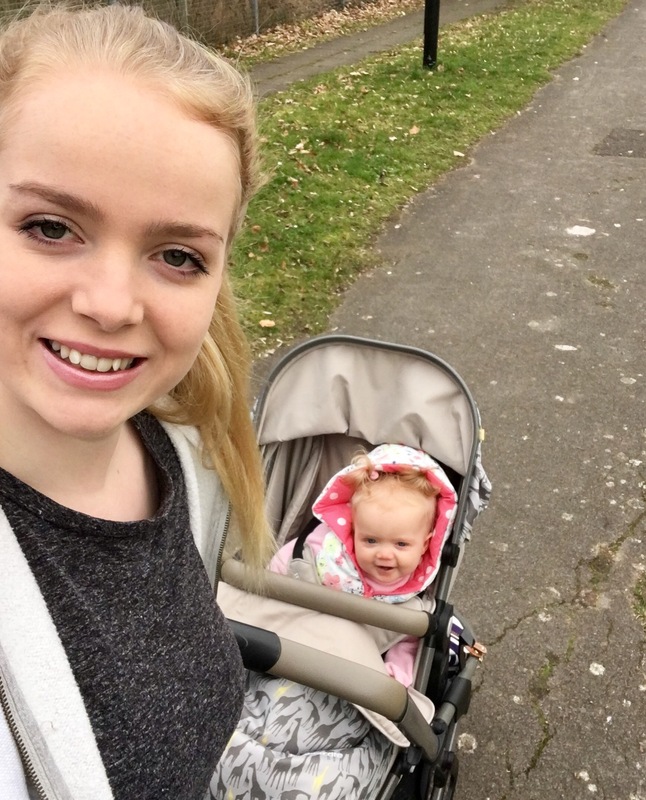 I’ve been on the look out for Mum and Baby workout classes for a while so when I saw a Buggy Fit class on Southampton Common advertised online I signed up straight away. I wasn’t sure exactly what the class was going to be but I’m at the point now where I’m actually craving to do exercise so I thought I’d just go along and see. When I was at college we used to go to The Common for free periods and at lunch time and we would always see these groups of Mums jogging along and as much as I found them amusing at the time I always knew that when I became a Mum I was likely to end up exactly like them. I was expecting the class to be mainly running and stopping occasionally to do some squats and lunges, that kind of thing. It was actually much more intense than that. The lady running the class is a Body Attack instructor and so we had a high intensity workout with no jogging at all which I was pleased about. I haven’t been to a workout class for a few years but I used to love going to Zumba and Legs, Bums and Tums, I love the motivation of being in a group and pushing yourself to work as hard as possible. She gave us easy, medium and hard options for each section of the workout and tailored it all towards us as new Mums. Their was a large range of different age babies so everyone was at a different point with their fitness but she made the class work for all of us. We parked our babies up on the grass so that they could watch us and she had a speaker system for music. The Common was pretty quiet so there wasn’t an audience which I know some people might worry about with an outdoors class. Throughout the class we all had to tend to our baby at some point; we were all stopping mid lunge to change nappies or feed them so it was very relaxed which made for a nice atmosphere. Darcie did so well in her pram, she usually doesn’t like being in it at all so I was really impressed when she stayed in it for pretty much the whole class, which was an hour long. I’d also walked to there so she had been in it for an hour previous to the class as well. I’d made her cheese scones that morning so she was quite happy smugly snacking away watching me sweat it out! Towards the end she started to get a bit grouchy so I got her out and held her for the warm down which she loved because she enjoys anything where she feels she gets to be involved. The particular class I went to was run by a company called ParkLives who run various activities like this one and also just regular classes for people who don’t need to bring their babies along. They are all over the country and all the classes are free which is always a bonus. I think a lot of us get to that point after having a baby when we just want to do something different and something that is a bit more for ourselves than most other baby groups and classes. By the sounds of it, the class is a different workout each week so I’m looking forward to going again. What could be better than your baby being snuggled in their pram eating snacks and playing with toys while you get to do something for yourself? Well, except for you being the one snuggled peacefully in a blanket eating snacks, but we all know that’s not going to happen anytime soon!